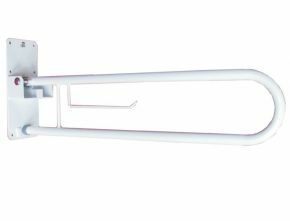 A sturdy drop down rail with toilet roll holder which folds up parallel to the mounting wall when not in use. Six mounting holes are incorporated into the back plate to provide secure mounting points to fix to the wall. The safety rail is held in the upright position when not in use by a spring / cam mechanism, which prevents the rail from falling yet is easy to fold down with minimum pressure. 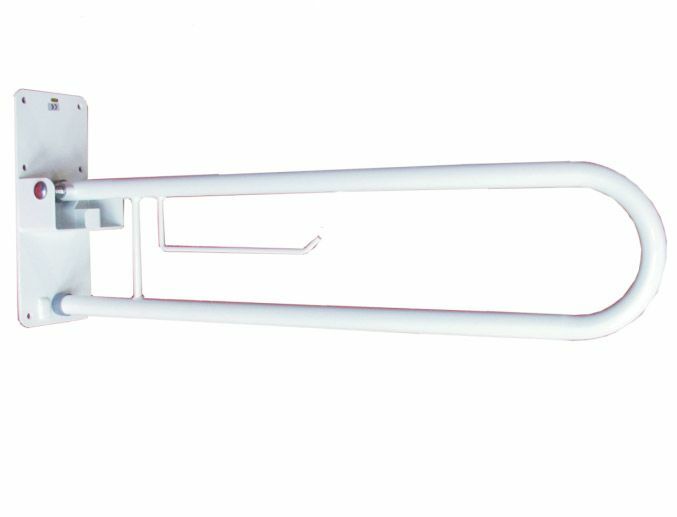 Constructed from quality white powder coated steel the drop down safety rail is despatched fully assembled. Assists with independent toileting and bathing.